The most important of the peace initiatives in Ukraine today are led, not by diplomats and politicians, but by ordinary citizens. GHI Director John Graham spent five days on a mountaintop in Switzerland with 25 of them, including Ukrainian-speakers from west Ukraine and Russian-speakers from east Ukraine, as well as several Russians. The group included senior academics, leaders of important civil society groups, and prominent people in both Ukrainian and Russian-speaking media. The aim was to see if this very disparate group could reach agreement on a structure for peace in Ukraine, one that could become a template for a national plan, implemented by the country's leaders and respected globally, including by Russia. All this took place at the Caux Conference on Just Governance, a kind of "grassroots Davos" for change agents, held annually in an old hotel tucked away in the mountains above Montreaux. 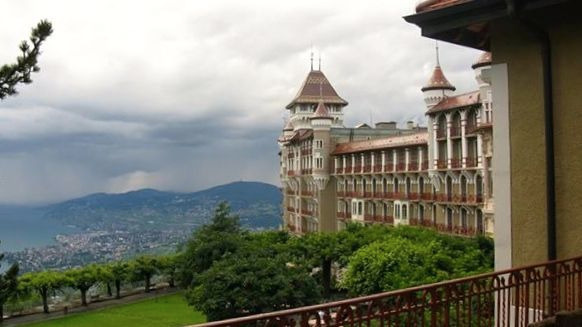 Caux's track record in peace-building is impressive, going all the way back to 1946 and the first efforts to heal the wounds of the Second World War. Peace builders from around the world come to Caux to support, encourage and facilitate the dialogues. The meeting was not easy. The participants didn't even agree on what Ukraine is. The Ukrainians from the west of that nation tended to see saw Ukraine's future, certainly its economic future, as part of Europe. The easterners, living nearer the border with Russia, with their industry already linked in that direction, looked more towards Moscow. The first day there wasn't much the two sides to the conflict could agree except perhaps the need to avoid a full-scale war that would tear the country apart. Russian support for the separatist militias that have seized large chunks of territory in the east, and the Russian annexation of Crimea, fuel the tensions and the violence. The west Ukrainians at Caux saw Russia's advances as naked aggression. Miroslav, a west-Ukrainian dissident who'd spent ten years in a Russian gulag, feared that Russian President Vladimir Putin was bent on reviving a totalitarian Russian empire. A shouting match started when Viacheskav, a fiery professor from Moscow, countered that Putin was simpy helping an oppressed minority battle unjust and insensitive majority rule from Ukraine's own capital, Kiev. It was five days of anger, pain, grace, shouting and courage. The honest acknowledgements of a bitter joint history under Hitler and Stalin were powerful tools. These 25 people were not idle dreamers or idealistic kids. They were professionals with the skills, street-smarts and resources to make a difference. Many of them already were. Hanna Hopko, a veteran of the bloody protests in Maidan Square,, offered this view: "This crisis is not about ethnicity or geography," she said. "It's about hope. One side says we can fix our problems ourselves; the other side yearns for the stability of the old Soviet Union, when all the rules were set for us. The first side must demonstrate to the second that the fixing is possible, that the people, together, can create a stable and just country." Hopko has been coordinating a powerful national movement, Reanimation Package of Reforms (RPR), whose goal is to redirect protest energy into constructive legislative change. RPR, which now includes over 200 experts and 50 civil society groups, is pushing for reforms and submitting draft legislation to combat corruption and to reform law enforcement, local government, public administration, taxes, elections, media and more. Ten of the laws drafted by RPR have already been adopted by Parliament, and, with each success, the RPR gains more and more public support and confidence for systemic change. Understanding that it must offer an inclusive dialogue for all parts of Ukrainian society, RPR leaders tour the country to encourage support for reforms. So much is at stake. Without substantial reductions in corruption, no Ukrainian government can win the confidence of the people, east or west -- nor convince the nations of Western Europe to open their economic doors to Ukraine. And unless broader reforms can create a transparent, just, inclusive national government, those living in east Ukraine will not see why they should stop armed struggle and offer their allegiance. Will any change initiative, succeed? After all, the Orange Revolution in Ukraine in 2004 was launched with similar aims and, yet everything slid back. 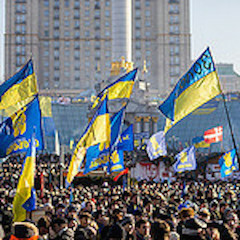 Ukraine became one of the most corrupt, autocratic countries in the world. And a shooting war could re-start tomorrow.